Carrick-on-Shannon CoderDojo meets every Thursday evening during school Term in The Hive – Leitrim’s Technology Enterprise Centre. Accommodation solutions ranging from a single desk with high-speed fibre broadband access to serviced office suites with fixed cost flexible leases and optional packages including phone systems, print solutions and secretarial support are available. There is an on-site coffee dock, and high-tech meeting rooms and training suites which make it the ideal location for your next training or conferencing event with its high profile location. 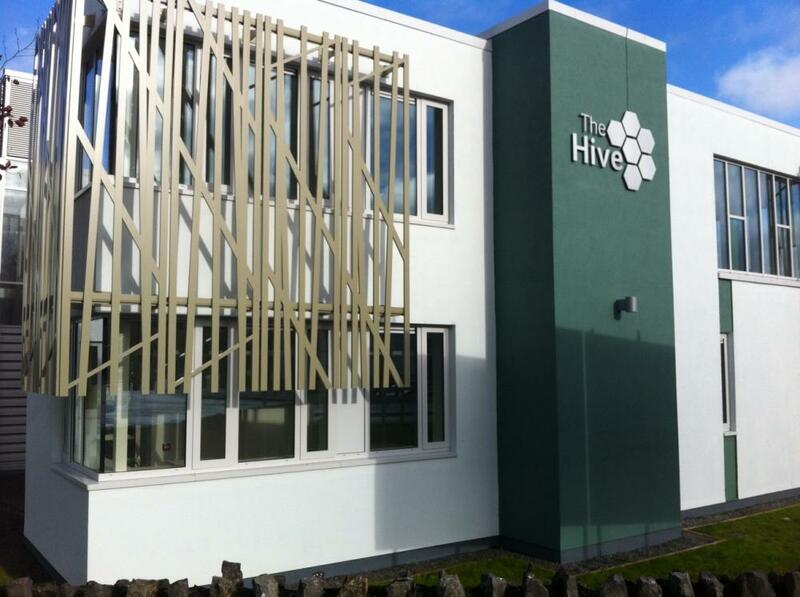 The Hive is also an ideal location for off-site interviews or meetings with short and long term flexible availability in a high-quality business focused environment. They hope to achieve a cluster of knowledge-based businesses in the centre, where informal and formal networking and co-operation will be encouraged through events and training. They offer on-site management and support staff that will ensure that you can focus on running your business, not your office space. Packages available – please register your interest and requirements with colm@the-hive.ie or 071 9616275 or visit The-Hive.ie.